Join the ranks of the Hemlocks and experience living history at it's best! "Put the Vermonters at the head of the column and keep everything well closed up." A routine order by General John Sedgwick, Commander of the Sixth Corps. "Spike your guns with canister and--quick, too"
1st VT Battery's Captain Hebard's response to an order from General Banks to spike the guns and retreat during the Red River Campaign. The Gray Horse Battery broke the charge and the assault by the Rebs. 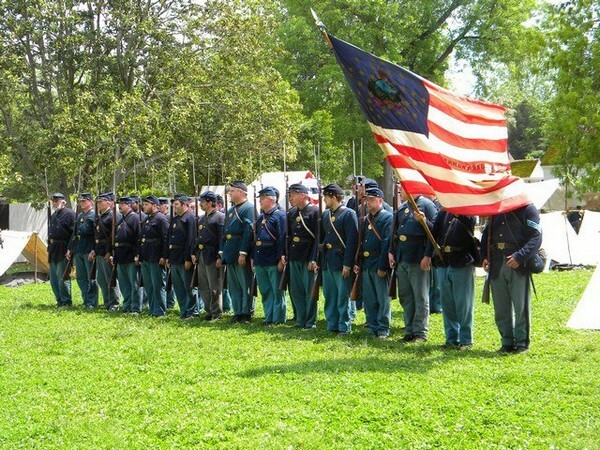 The "Old Brigade," of which the 3rd Vt Volunteers was a member, was considered one of the very best of the Union Army. It had the unfortunate distinction of having the highest number of men killed in any Federal brigade. Known as the "Gray Horse Battery," the 1st Vermont Battery served with distinction in the southern theater of the War. 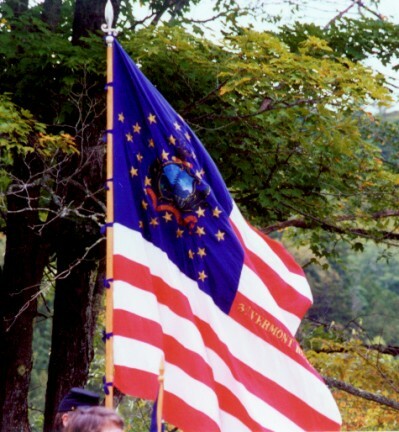 One of the oldest Civil War living history organizations, the Vermont Civil War Hemlocks are dedicated to proudly and accurately portraying the common Vermont infantry and artillery soldier during the War of the Rebellion, 1861 - 1865. The Hemlocks are living historians, educators, preservationists and re-enactors. 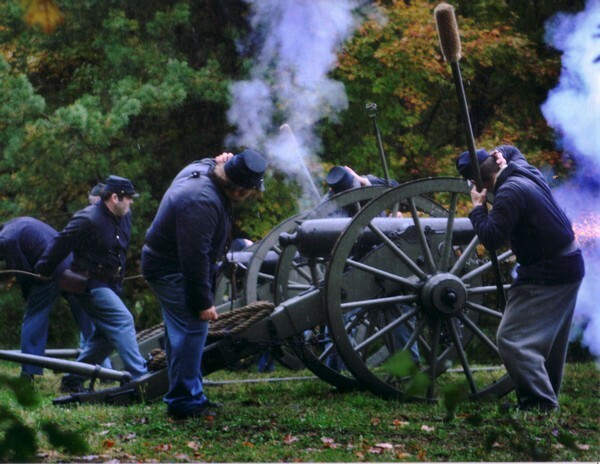 If you are looking for the ultimate Civil War living history experience, the Hemlocks may be for you! Follow the links to find out more about the Hemlocks and Vermont's role in the Great Rebellion. If you have problems, questions or suggestions, please telegraph (email) the webmaster. Page designed and maintained by Eric Hector.